With this ring, I wanted the stones to look like they are floating on a galaxy of colour, a universe of beauty all gravitating towards a central focus. Only by examining the piece will you see the depths of beauty and light underneath. 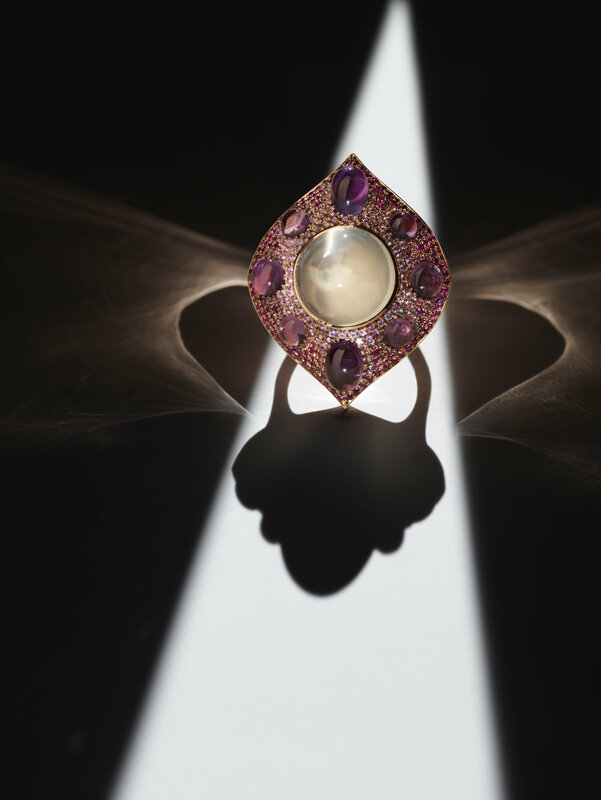 Details: 2018, large central moonstone with 8 amethyst cabuchons and 230 graduated pink sapphires, with 48 rubies set into a honeycombed undercarriage. All set in 18kt rose gold.